If you plan on using a car rental Grenoble Airport service then search for a low price deal using our cost comparison booking engine. 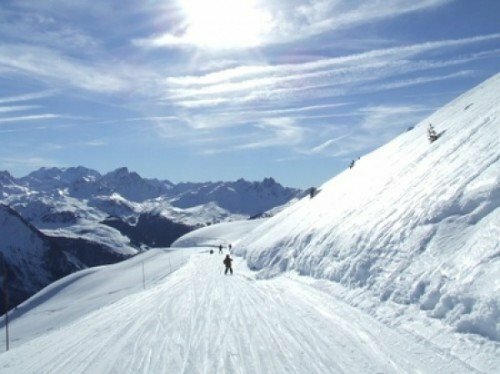 Book cheap French car hire now so you don’t miss out and grab some excellent travel bargains for the Ski season. Avis, Europcar, Hertz and Sixt operate car rental desks at the airport. Geneva is less than a two hour drive away so check out our car hire Geneva Airport quotes if arriving there. We also provide cheap car hire Chambery Airport deals which is just an hour away by road. If flying to Lyon with Aer Lingus then you may wish to take a look at some of our Lyon deals. Many people are looking to get on the ski slopes when visiting Grenoble. Geneva of course is a much loved destination at this time of year. Ryanair presently offer flights to Grenoble from Dublin and Kerry Airports whilst Aer Lingus offer flights from Dublin to Lyon which is roughly about a seventy five minutes drive by road. The city of Grenoble is small in size and is encircled by lots of ski villages as well as being reasonably near to well known resorts such as Chamonix and Trois Vallees. The city buzzes with a hive of student activity from the nearby university. Locals tend to be easy going and friendly. It’s a stunning city which boasts mountain views from all its streets. The town has a population of around 175,000. One of the proudest moments in the cities history was hosting the Winter Olympics in 1968. The town is quite easy to walk around. You might be expecting steep climbs but the town itself is really quite flat. Grenoble is an excellent base for any skiing trip. You might want to get a day pass which will give you entry to many places such as Chamrousse and Alpe d’Huez. Villard-de-Lans is just a 1 hr drive by road in your Grenoble rental car. This is a little authentic village with a populace of 4000. The official name of Grenoble Airport is Saint-Geoirs Airport. It is located 40 kms from the city. Journey time by public transport is about 1 hr which costs 6euro on the bus. You can get a bus to Lyon which ought to take about 90 mins. Tickets for this service cost 25 euro. Compare our car hire Grenoble Airport offers before making a decision. Take the A48 motorway when leaving the airport and heading for Grenoble or Lyon. When finding your way back for the return flight keep in mind that Grenoble Airport is referred to as St Geoirs Airport on some road signs. There is a taxi rank in front of the terminal. Travel time is around 40 minutes. The fare is 70 euro on average. Lyon takes almost 1 hr and should cost about 100 euro. Over 500,000 passengers used the Airport in 2017. Budget airlines like Easyjet provide plenty of flights throughout the ski season and have truly boosted visitors at the airport over the last couple of years. The best prices can be found when you book early. Reserve a low cost Grenoble car hire deal today. We also provide excellent value car rental Lyon Airport deals.